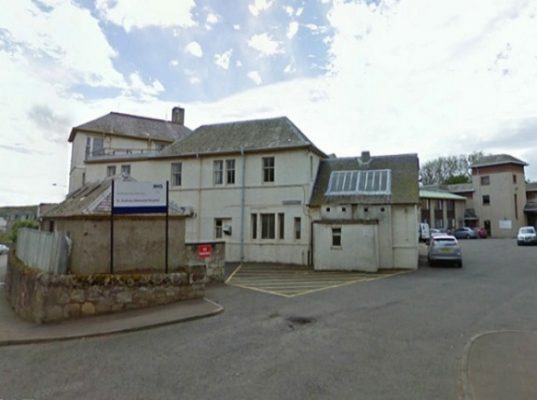 Central Demolition Limited were awarded the contract for the demolition of a single storey health centre, located on Fernan Street in Shettleston. Clients Shettleston Housing Association commissioned the demolition to make way for amenity flats for the elderly. The asbestos removal requirements of this project were small. 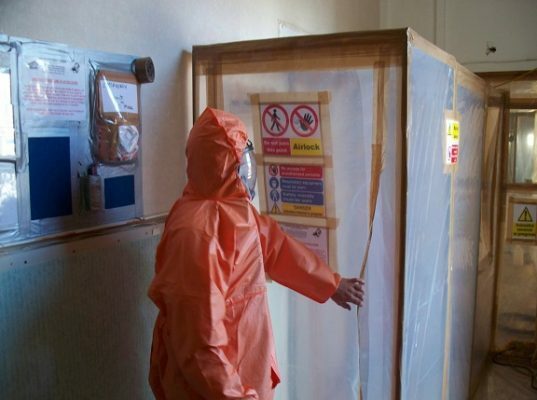 A fully trained and experienced team of asbestos operatives removed non-notifiable items from within the structure, namely sink pads and fuses. For this project, no soft stripping was required of us. Further to site set up, we proceeded with the machine demolition of the building. Our works also included the removal of trees, hard standings and fencing on site. In addition, we graded the site and created bunds to prevent unauthorised entry. Other works which we undertook included the backfill of voids. 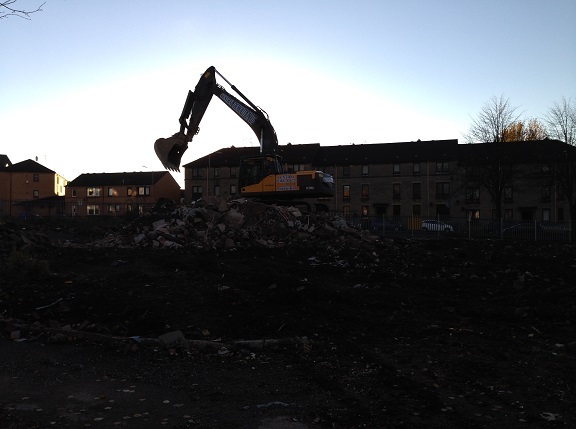 All waste generated from the demolition was removed from site and transferred to our Bonnybridge yard. Our recycling facilities here allowed us to recycle the waste as far as possible, with all non-recycled waste being disposed of in a safe and responsible manner. Though not a particularly challenging project, there were risks. The site had ‘live’ residential buildings in close proximity. Our comprehensive health and safety plan ensured that we operated safely at all times. The demolition was successful, and the works were completed 2 weeks earlier than anticipated. 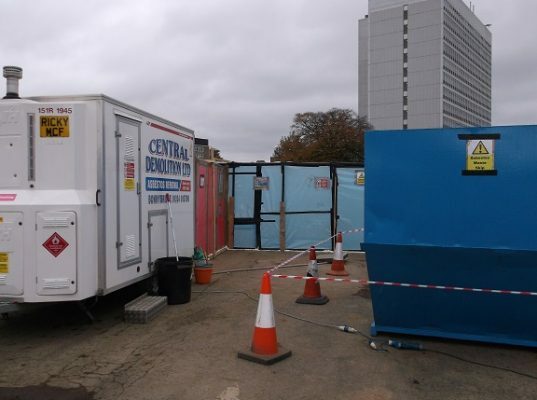 This was yet another Central Demolition project completed safely, on time and within budget. In addition, our clients – Shettleston Housing Association – were satisfied with our works and our operatives on site.